"We firmly recognize that the umma [nation]of Muhammad is a nation whose destiny is independent of its leaders, no matter how great," said American-born al-Shabaab commander Omar Hammami about the death of Osama bin Laden. For terrorists like Hammami, ending the life of bin Laden hasn't ended the jihad against America. His statements match the mantra echoing across jihadi forums, as branches of al-Qaida and its allies pledge new terror attacks. Although bin Laden may be dead, the jihad lives on. Putting aside the rhetoric, al-Qaida is not an anarchist group, despite the loose connection between its regional branches. As long as al-Qaida lacks a clear central leader, it risks being lost in unending attacks without reason. That's contrary to the group's desire to establish a new Caliphate or at least oust the West from Muslim lands. Rule by al-Qaida's Shura Council, the consultative body of the Pakistani/Afghani branch, remains a strong possibility in the short term. But in the long term, jihadi groups will look to a single leader or emir, to set policy and direct the organization. If that doesn't happen, the scattered al-Qaida branches that we know today will have little to unify them. Bin Laden's second in command, Ayman al-Zawahiri, is widely considered the best positioned to seize the reins. However, U.S. intelligence estimates see him as an unpopular leader who lacks the charisma of bin Laden. "Zawahiri is obviously the presumed successor, but there are strong indications that he is not popular within certain circles of the group," the Washington Post quoted an unnamed senior intelligence figure as saying. "It is, of course, anathema to al-Qaida to hold free and fair elections. If free and fair elections [were conducted], Zawahiri would most likely have a fight on his hands." Osama bin Laden's longtime deputy, Ayman al-Zawahiri is the most likely candidate to take over al-Qaida, despite his reported unpopularity. Since the beginning, Zawahiri has been an important ideological force in al-Qaida, releasing regular internet videos espousing the organization's mission. He also played a key role in refocusing al-Qaida's efforts away from Saudi Arabia and Afghanistan and towards the "far enemy," the Americans and the Jews. Zawahiri's jihadist roots trace back to Egypt where he was a founding member of the Egyptian Islamic Jihad (EIJ), a radical group committed to overthrowing Egypt's secular government. Zawahiri developed a close relationship with bin Laden during the Soviet-Afghan war and, in 1998, he officially merged EIJ with al-Qaida. In his capacity as second-in-command of al-Qaida, Zawahiri, officials say, was responsible for the planning of 9/11, the bombings of American embassies in Kenya and Tanzania in 1998, and the October 2000 bombing of the USS Cole in Yemen. The U.S. government has offered a reward of up to $25 million for information leading directly to Zawahiri's apprehension. There is speculation that al-Qaida has not officially named Zawahiri as its new leader because of doubts surrounding his ability to lead as effectively as his predecessor. Zawahiri has a history "of alienating his colleagues, fighting over dogma, even within the Islamist movement," said journalist Steve Coll, author of Ghost Wars and The Bin Ladens. "And as a communicator, he is less effective. His books are turgid and dogmatic." Zawahiri also is said to lack the charisma and appeal that bin Laden possessed, and is seen as a "divisive" figure within al-Qaida's ranks. Nevertheless, the Islamic State of Iraq (formerly al-Qaida in Iraq) has already pledged its allegiance to Zawahiri, and a former EIJ member, Tawfiq Hamid, warned against underestimating the probable new leader. "He's much more powerful as a leader – much more organized," Hamid said. "When you listen to him, you can tell clearly that he has the ambition and is dedicated 100 percent to achieve this mission." Click here for more on Zawahiri. Touted as "as the most effective, dangerous and successful guerrilla leader in the world" by intelligence agencies, Pakistani terrorist Ilyas Kashmiri heads the 313 Brigade, the military wing of al-Qaida in Pakistan. He is suspected of involvement in a number of high-profile terrorist attacks including: the 2008 Mumbai terror attacks that resulted in the deaths of 166 people at Mumbai's train station, the Taj Mahal Hotel, and a Jewish center; and a suicide bomb attack on a top secret CIA base in the eastern Afghan province of Khost in December 2009 that killed at least eight Americans. He is also believed to have been the mastermind of a plot to attack the offices of the Danish newspaper Jyllands-Posten in retaliation for the newspaper publishing a cartoon of the Prophet Mohammad in 2005, and a 2010 plot for a series of "Mumbai-style" attacks in European cities. Kashmiri has been named for his role in the 2008 Mumbai attacks in the terrorism indictment of David Coleman Headley. Court documents contain hints of connections between Kashmiri and al-Qaida and of Kashmiri's desire to launch additional mass casualty terrorist attacks. In his first-ever interview with Asia Times in 2009, Kashmiri voiced his support for al-Qaida's war against the United States and the West, and warned that the 2008 Mumbai attack "was nothing compared to what has already been planned for the future." Kashmiri directs attacks in South Asia, while simultaneously assisting in plots against the West. In the wake of bin Laden's death, Kashmiri "will probably be the operational mastermind and most dangerous," said former CIA officer Bruce Riedel. Kashmiri is considered a dark horse to replace bin Laden because of Zawahiri's unpopularity. However, according to U.S. government sources, Kashmiri may not even seek al-Qaida's leadership. Until now, Kashmiri has acted as more of a behind-the-scenes military commander and has had minimal media exposure. He has also played a small role as an influential ideologue or recruiter. Click here for more on Kashmiri. Born in Yemen, but living much of his life in America, Awlaki has been referred to as "the translator of jihad." He played an active role in over a dozen plots, including the Christmas Day Detroit flight bomb plot and the Fort Hood shootings. In addition, Awlaki's writings and speeches on jihad have influenced jihadi plots in the United States, Britain, Canada, and elsewhere. 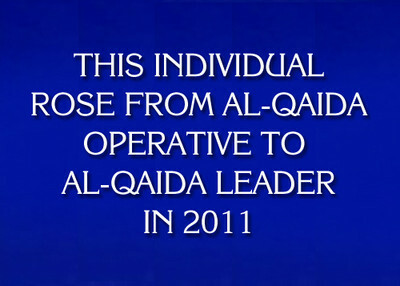 Awlaki has a high public profile, especially in comparison to other al-Qaida leaders. He produced a series of popular, English-language recordings throughout his own radicalization process, which remained in circulation well after he embraced jihad. In addition, his blog, use of video conferencing, and email communications, made him the most accessible terrorist leader. This legacy has continued through Inspire magazine, an English-language publication that features Awlaki's latest statements, and keeps him in the jihadi public eye. Although he is one the most active players in terrorism against Americans, Awlaki has little chance of succeeding bin Laden. His influence among English-speaking jihadists aside, Awlaki is not even the military or spiritual leader of his local branch of al-Qaida, al Qaida in the Arabian Peninsula (AQAP). His encouragement of lone wolf terrorism, which he states should be carried out in a would-be terrorist's home country, also differs from the top-down approach of al-Qaida in Pakistan and Afghanistan. Click here more on Awlaki. Is anyone surprised that all of these next Bin Laden are citizens of US ally nations? The countries US poured billions of dollars into?